For those who have been trying to address waste issues for some time, negative discourse around packaging has become unsurprising. From the frustration of opening packages for electronics, confusion on the recyclability of coffee cups, to the outcry regarding the amount of single-serve pods ending up in landfill, consumers are passionate about their relationship with packaging especially at the end of its use. But all of these frustrations fail to recognize the important benefits that packaging provides; product protection and preservation, safety against tampering, and communication of information to name a few. Adding new features or formats to the current packaging mix may also mean adding complexity downstream during the recovery process. This complexity sometimes makes packaging feel ‘stuck’ – a life cycle assessment may have determined that a particular package design offers the best current environmental option but its next life options are poor. Poor next life options for packaging are a result of either mismatched design or a disconnected system, or both. To become ‘unstuck’ requires the packaging sector to look beyond our own boardrooms to explore less conventional solutions that move us toward a circular economy. It means maintaining and promoting the value of packaging throughout the entire product life cycle, not just in the beginning or at the end. The Circular Economy Innovation Lab (CEIL), which is powered by The Natural Step Canada, is one program that is helping us to pursue these “big idea” solutions in a safe and supportive environment. Over the years the packaging sector has been at the forefront of innovating solutions that address pressing concerns like food waste and changing demographics to smaller households with time-pressed consumers. Packaging has evolved to suit these new needs with innovations such as resealable features on packaging to keep food fresher for longer, lightweight packaging that is easier for consumers to take on-the-go, portion-packs allowing consumers to use only what they need, and more robust packaging to improve performance and reduce damage during shipping. The packaging industry has made great strides in addressing food waste and will continue to play a key role in this global issue. All these benefits of packaging innovations are countered with the fact that they may not be as widely recycled or that more packaging is required. Success will be about finding the balance so that we can successfully transition to a circular economy. As the pressure to create a waste-free economy grows we need to be sure not to lose focus on why different types of packaging were created in the first place. While the principles of recycling have set the foundation for early circular economy thinking, it isn’t the only option to close the loop. 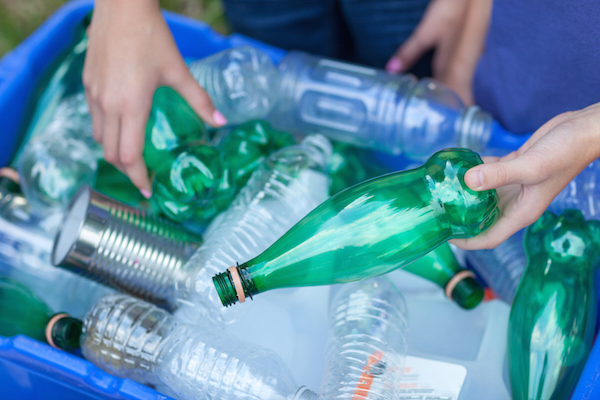 As the packaging material mix grows more complex and the cost to manage these materials continues to rise, we have yet to accept that not all packaging may be suited for curbside recycling. Overcoming trade-offs will be key to developing solutions that work towards a circular economy in the long run. By stimulating new conversations, mapping the pathway to optimize current recycling systems and shifting the short-term mindset to overcome barriers organizations like CEIL and PAC are uniquely positioned to help meet the needs of government and business as Bill 151 (the Waste-Free Ontario Act) is put into action. I’m excited to represent PAC at CEIL’s Rapid Lab and look forward to where our conversations take us! The article ”The Value of Packaging and Overcoming Trade-offs in a Circular Economy” was written by Rachel Morier, Director of Sustainability at Packaging Consortium. Rachel is a member of CEIL’s Technical Advisory Committee and a participant of the Printed Paper and Packaging Rapid Lab.